Accounting firms in Hong Kong cater to a large number of financial institutions. 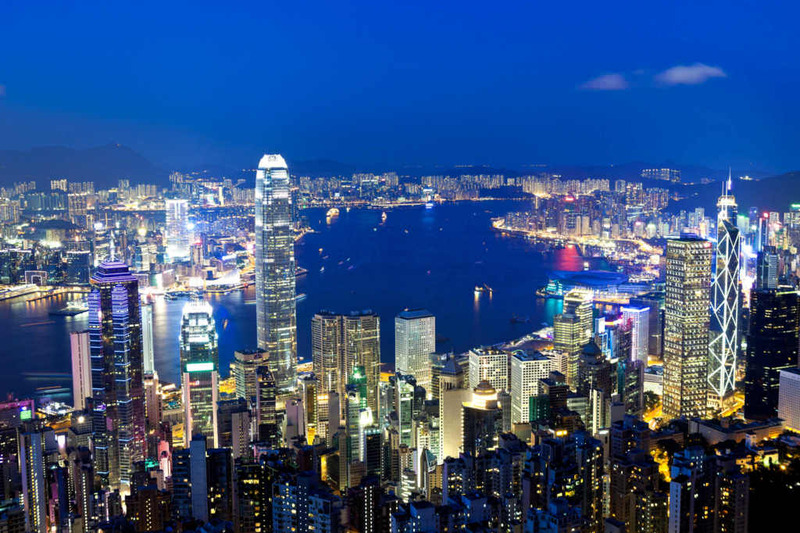 With over 71 of the 100 largest international banks located in Hong Kong, the city is known as a global financial hub. In 2016, Hong Kong was one of the world’s leading exchange marketsTypes of Markets - Dealers, Brokers, ExchangesMarkets include brokers, dealers, and exchange markets. Each market operates under different trading mechanisms, which affect liquidity and control. The different types of markets allow for different trading characteristics, outlined in this guide, accounting for 19% of the total capital raised globally. This means more business and more projects for accounting firms to work on. As they start getting busy, let’s take a look at some of the top accounting firms in Hong Kong. Although the rankings among the Big Four firmsBig 4 Advisory FirmsThe Big 4 advisory firms are the key players in the public accounting industry. The Big 4 advisory firms are KMPG, Deloitte, PwC and EY. They offer a wide range of services such as accounting, management consultancy, taxation, risk assessment, and auditing. Learn about the services of the big four and their change from time to time, PwC and Deloitte are the largest accounting firms in Hong Kong, each employing between 2,400 and 2,700 staff. PwC Hong Kong operates under the company motto of “Your agenda is our agenda. Let’s work together to make sure your company is ready to take advantage of new opportunities to grow.” It focuses on full client experience to deliver the best results. Deloitte Hong Kong, on the other hand, concentrates on making a lasting impact on its clients. All the Big Four accounting firms in Hong Kong operate under their general China offices and work in collaboration with numerous offices in the Chinese region. Outside the Big Four, accounting firms in Hong Kong such as BDO, RSM, HLB Hodgson Impey, Crowe Horwarth, Mazars, and Shinewing also belong in the top 10. BDO HK Limited is the Hong Kong member firm of BDO International Limited. Established in 1981, BDO HK is committed to facilitating growth and providing the best professional advice. BDO HK employs 50 directors and a staff of about 1,000 in the city. RSM Hong Kong was established in 1975 and today it is one of the leading accounting firms in Hong Kong. RSM HK offers a wide range of services, including audit and assurance, taxation, risk advisory, and technology and management consulting to local, mainland China, and international clients. RSM Hong Kong is a member firm of RSM, an international network of professional firms formed in 1964. RSM Hong Kong offers a truly international service by focusing on clients’ personal needs, prompt solutions, competitive pricing, and value-added services. HLB Hodgson Impey Cheng Limited is the Hong Kong member firm of HLB International. The firm was founded in 1983. HLB HK is a well-established firm in the city and offers clients a full range of business and financial advice not only domestically but throughout the whole Asian region. HLB HK also focuses on a truly personalized service. Crowe Horwath HK is a full-service CPA member firm of Crowe Horwath International. The firm offers a wide range of services, including audit, tax, risk management, M&A, data security and IT audit, consulting, and business valuation. Crowe Horwath assists Chinese enterprises to gain access to international capital markets, as well as helping international clients seeking to penetrate the Chinese market. With approximately 30 directors and principals and 350 staff, Crowe Horwath enjoys access to extensive resources that allow it to attend to the professional needs of its clients. Mazars Hong Kong is part of the Mazars Group. The group is one of the world’s largest accounting firms, operating in 79 countries. Mazars HK specializes in providing audit, accounting, tax and business advisory, corporate finance, and risk services to individuals, OMB’s/SME’s, or multinational corporations. Mazars HK vision is to be the difference to its clients by providing high caliber professional services. Shinewing was established in 2005 as a result of an alliance between Ho and Ho & Company in Hong Kong and ShineWing Certified Public Accountants in Beijing. The merger created the largest domestic professional services organization in both China and Hong Kong. Shinewing provides services to both large private companies and state enterprises with offices not only in Hong Kong and China but also in Singapore, Australia, Japan, Pakistan, and Egypt. The firm’s core beliefs are earning trust, pursuing truth, ensuring fairness, and seeking harmony.